If you have registered your domain name with another provider you can still benefit from our low pricing and service by transferring your domains management to Web Wiz. The domain will still belong to you, we simply manage the registration and renewal process. 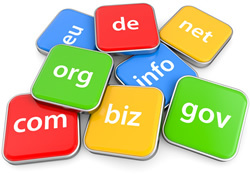 Transferring your domain name to Web Wiz takes a few minutes and typically a few days to complete. Transferring a domain name does not impact on services connected to your domain during the transfer process. Use the form below to transfer the registration of your Domain Name to Web Wiz. Enter your Domain Name that you wish to Transfer to Web Wiz.